CEOs today no longer see disruption as quite so disruptive. Accustomed to sudden change, they have factored its reality into their strategies and a growing number are embracing radically new models. Learn how CEOs from leading organizations are innovating with partners on new business platforms in new ecosystems. Read how they are collaborating across industries — even teaming up with competitors — to carve out new value as platform owners and platform participants. 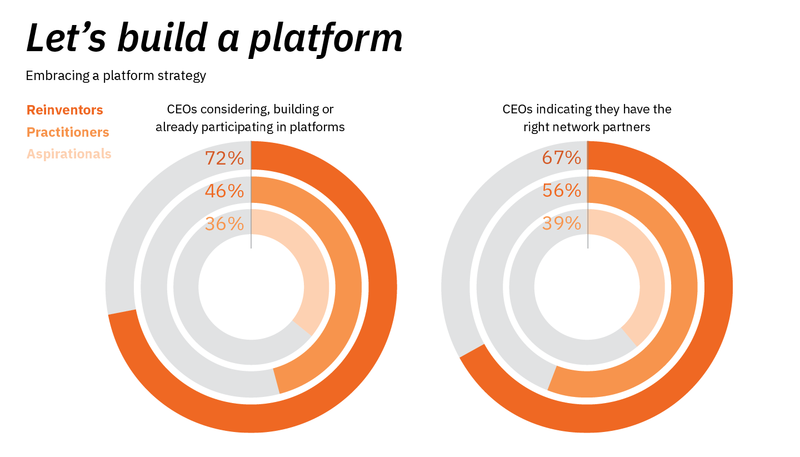 By applying insights from innovative CEOs around the globe, you can prepare your organization for a future where partnerships and platforms indeed pay off.